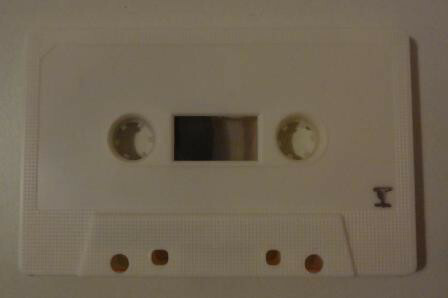 MC Cassette SET between 2 steel plates with two screws limited to 50 copies . Re-release of the 2001 album, limited edition of 50 copies. 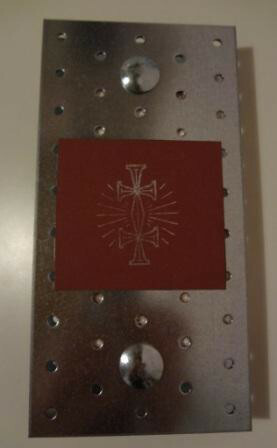 Cassette in paper envelope included in two 20x10 cm metal plates sealed by bolts with photo cover pasted on it. The fourth part of this cassette release series. 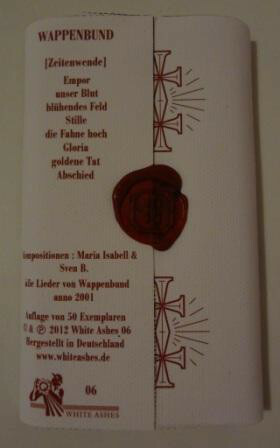 Customer evaluation for "WAPPENBUND - Zeitenwende MC Tape (Lim50) 2012"